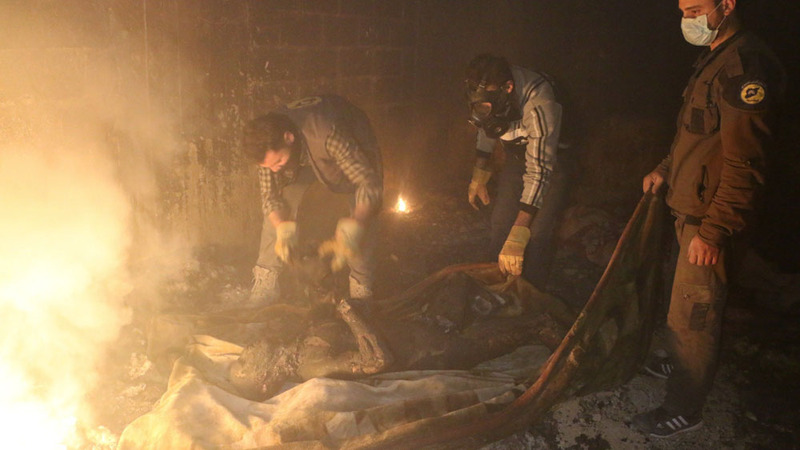 Recovering the body of a victim of an incendiary attack in Arbin, Eastern Ghouta, 22 March 2018. Photo: Syria Civil Defence via Siege Watch 10th Quarterly Report, Part One. That’s the view of the German Foreign Ministry in a report leaked this month. This observation is of course an indictment of the war against civilians by the criminal Assad regime and its international allies, Putin and company. But it’s also an indictment of the intervening powers, the US-UK Coalition and Turkey, and their failures to put civilian protection at the centre of their strategies. This week the Government responded to a recent Commons Foreign Affairs Committee report on Syria and the Responsibility to Protect (R2P). The Government rejected two key recommendations: that the Government develop an atrocity prevention strategy and implementation plan; and that the Government establish an independent inquiry into the decision-making processes leading to, and the consequences of, non-intervention. 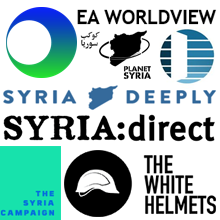 In rejecting an atrocity prevention strategy proposal, the Government listed what it does on atrocity prevention, particularly on Syria, but didn’t examine why what it does is failing to prevent atrocities, and didn’t consider how today’s policy choices in Syria may be setting conditions for further atrocities in the future. In rejecting an independent inquiry into non-intervention, the Government sought to contain the question to the August 2013 vote, but the issue of UK non-intervention in Syria goes wider, back to the narrowing of UK policy options in line with US policy in 2012, and forward to the decision to intervene against only one perpetrator in 2015. The issue continues today with the UK avoiding full transparent discussion of its current responsibilities as a military force in Syria. 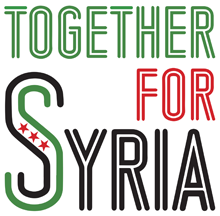 Next month will be three years since the UK Parliament voted to intervene in Syria, not to protect civilians against all their worst oppressors, but to act only against those who presented a short-term security threat to Western states. “Since the first outline of the plan by the Prime Minister I have studied the case he has set out in detail, discussed it with officials and experts, with Syrian people and with campaigning groups trying to end the conflict. My reluctant conclusion is that beyond the tactic of airstrikes, the wider plan remains undeveloped. While much of the intent and language is there, the thing I am most concerned about and which in my view will most change the conflict dynamic is the protection of civilians, particularly from Assad’s indiscriminate barrel bombs. This is relegated to second order status in the strategy, underdeveloped and unthought out. It is a fatal flaw in the strategy. “The Prime Minister has compounded this for me by positioning the strategy as ‘ISIS first’, like we are picking from a menu of independent variables. First we’ll deal with ISIS and then we’ll come back to Assad. Wars don’t work like this. Indeed, by refusing to tackle Assad’s brutality we may actively alienate more of the Sunni population, driving them towards ISIS. “So I have decided to abstain. Because I am not against airstrikes per se, but I cannot actively support them unless they are part of a plan. Because I believe in action to address ISIS, but do not believe that it will work in isolation. See also: UNA-UK disappointed by UK’s response to Foreign Affairs Committee inquiry on Humanitarian intervention.